The Mastiff, also called the Old English Mastiff, is a tall, enormous dog that was originally bred for war. Though some term it as the world's ugliest dog, this sweet-natured, gentle giant is patient, loyal, intelligent, docile, and dignified. It is also quite a formidable protector of its human and has a natural wariness of strangers. For people who are not familiar with Mastiffs, a face-to-face encounter can be startling at first. This is because it has a broad massive head and a wrinkled forehead that is quite intimidating. However, they are quite lovable and kind once you get to know them. Additionally, for the Mastiff breed, the size and height will vary according to its individual parents. But, generally, as a general rule of the thumb, a male Mastiff stands at least 30 inches at the shoulder and has a rectangular body that is thickly muscled. Females, on the other hand, stand at least 27.5 inches and weigh anywhere between 120 pounds to 170 pounds. Plus, they are covered by a short double coat of apricot, fawn, and brindle stripes. For massive dogs like theMastiff, having a well-balanced diet is important. If you feed them a densely caloric diet lacking the correct phosphorus to calcium ratios, they might get skeletal disorders. On the flip side, if you also feed them too much, they will quickly become obese. Most experts recommend starting off Mastiff puppies on an adult dog food formulation that contains a 26% protein percentage and calcium to phosphorus ratio of 1.2:1. You can, of course, adjust the portions and ratios if you have an adult dog.In addition, you also need to schedule their meals to avoid excessive weight gain. 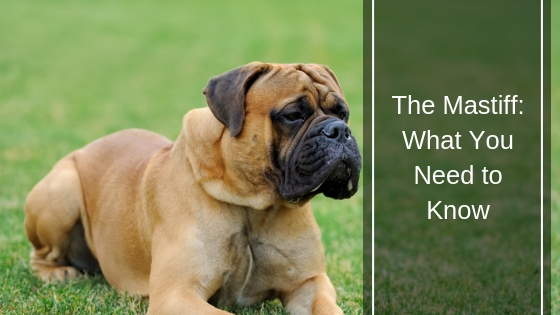 The Mastiff breed has a short, dense coat that is pretty easy to groom. So, in general, you only need to quickly brush it every few days. However, during periods of heavy shedding, your furry friend will require a lot more grooming sessions with a strong-toothed comb. Though a relatively calm breed, these dogs, like all other breeds, also need to do regular exercises. Luckily for you, despite being massive in size, Mastiffs are pretty active and will be only too happy to engage. However, these fur balls have comparatively low exercise requirements. You shouldn’t allow them to jump from heights, run up and down the stairs or take long walks. A 20 to 30 minutes walk is often more than enough. This is because they are notorious for plopping down when they get tired so walking a short distance where you can carry them when they get tired is a great idea when you do go out for a walk. When training a Mastiff puppy or adult, obedience training and early socialization are a must. Luckily, you don’t have to do much as Mastiffs are very fast learners and often want to impress. However, they get bored really quickly if there are many repetitions in a class and will often lie down snoring when they do. Making eye contact with them during training helps because they communicate a great deal with their eyes and are excellent at reading your body language and expressions. Treats, rewards, and praises are also great motivators if you want to get them to do something. And, of course, you also have to be very patient with them and treat them with inclusion, love, and respect at all times because they don’t respond very well to harsh training. So, even if you are frustrated or mad you shouldn’t raise your voice as you can easily hurt their feelings and when you do, it can be impossible to get them to do anything. Plus, you also need to keep the training sessions short and well spread out throughout the day and keep them fun and varied so that it will seem like more like a game than a chore. Is This A Reliable Dog For Emotional Support? As far as this breed becoming an emotional support dog goes, they make the perfect canine support companion. They are a perfect combination of sweetness and intelligence that makes them understand exactly what you need and aim to impress. And, despite their size and the fact that they have a black-masked appearance, they are gentle, lovable, and eternally loyal to their humans. However, they have a natural wariness of strangers so early socialization training is crucial. 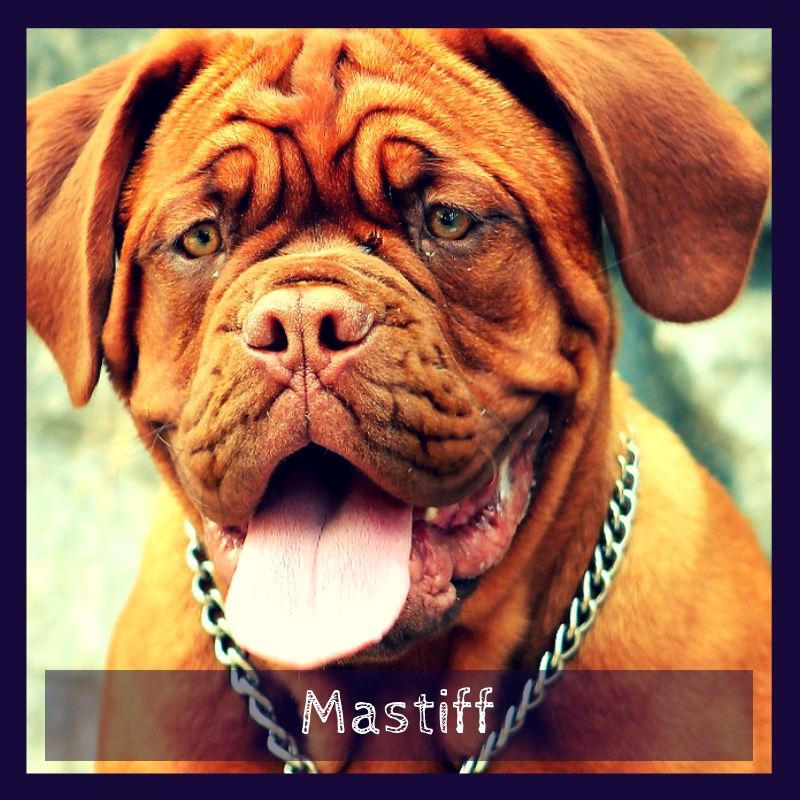 Moreover, Mastiffs tend to experience bloat where the stomach distends or twists and other health conditions such as heart disease, degenerative myelopathy, and epilepsy. If you are going to adopt a Mastiff, you are in for a lot of regular checkups to ensure that your furry friend stays healthy. 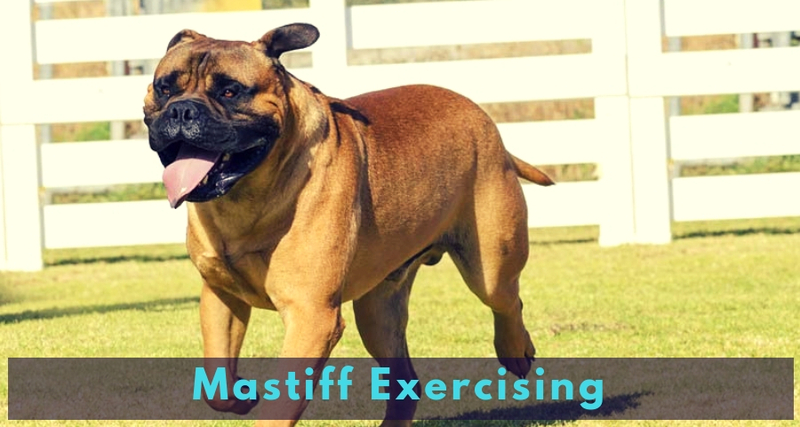 In addition, like all other breeds, you need to ensure that you exercise your Mastiff constantly. Short walks around the neighborhood and constant stimulation are enough to ensure that your Mastiff remains fit and healthy. Moreover, you have to ensure that you brush their teeth with dog toothpaste. Their dental hygiene is also a crucial part of their health so brushing regularly is an important part of their maintenance. Mastiffs are magnificent pets. They are lovable, gentle, and sweet-natured, which makes them great companions. They are also quite easy to groom and are good trainees too. However, they get bored quite easily so you have to keep the training sessions fun and varied so that you don't lose them halfway through the training session. In addition, although Mastiffs can live happily in an apartment, you need to ensure that they still get their regular dose of exercise. However, unlike other breeds, they have comparatively low exercise requirements so a 20- to 30-minute walk will work just fine.On the downside, however, acquiring such a massive breed is a huge commitment. You need to be 100% sure that you are up for the task.